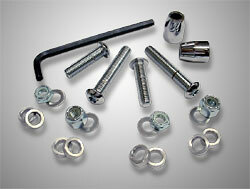 Smooth Ride Hardware Kits are designed to ease installation of your Smooth Ride Shocks. Our Hardware Kits are designed to fit FLH-Roadking, Sportster, Dyna and V-Rod installations. We provide all the necessary hardware for the right fit to your application.